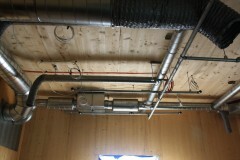 Triangle Fire Systems are delighted to have designed, supplied and installed the commercial fire sprinkler system and dry rising mains at Hastings Pier. 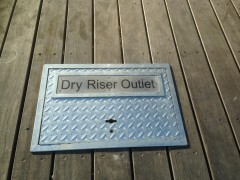 The pier has been rebuilt following a devastating fire in October 2010. Most of the funds for the £14m rebuild scheme came from the Heritage Lottery Fund and more than 3,000 people bought community shares. 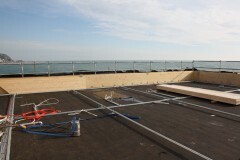 Triangle chose to purchase shares and completed the installation at cost to show our support to The People’s Pier! 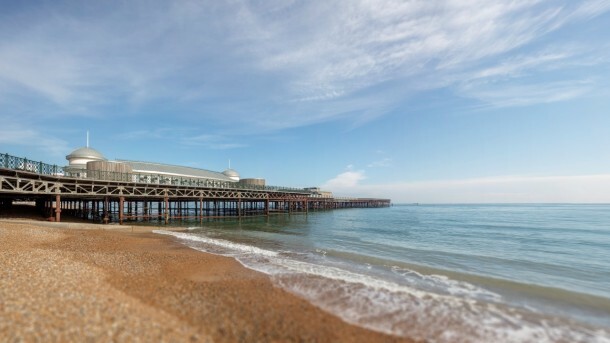 As a Hastings based company we are proud to have been involved with this prestigious project and helping to protect the pier from future fires. The pier’s rebuild has taken over 125,000 hours to complete. The grand opening was in May 2016 and since then it has hosted a fun fair, a circus, open air cinema, and music concerts and we are delighted that the Pier has become a big part of our community once again.